What if you could have been there the night of Christ's birth? Or the day of His baptism? What would it have been like to sit at His feet while He taught the people — the sinners, the children, the apostles? 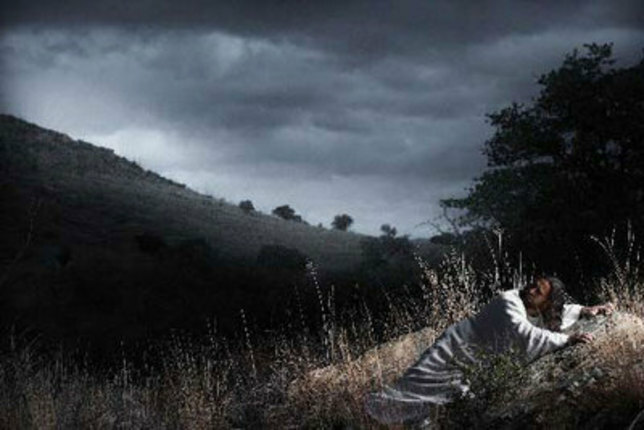 What would the sky have looked like over Gethsemane? Photographer Mark Mabry re-creates authentic, meridian-of-time scenes using both full-color and black-and-white photographs. 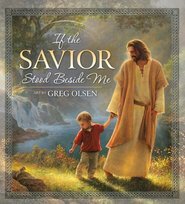 This first-of-a-kind book showcases twenty-five scenes of the life of Christ. From the Nativity to His miracles to His death and resurrection, these unique portrayals, accompanied by New Testament scripture, offer a powerful witness of the Lord Jesus Christ. Included in the book are behind-the-scenes author notes, providing readers with an intimate glimpse into the making of each photograph. Mark Mabry is best known for "Reflections of Christ," the first-ever pictorial essay depicting events in the life of Jesus Christ. He holds a bachelor's degree in Russian studies and a master's degree in liberal studies with an emphasis in creative nonfiction from Arizona State University. Mark studied photography at The Brooks Institute of Photography in Santa Barbara and currently works as creative director at The Blaze. He lives in Keller, Texas, with his wife, Tara, and their four children. I totally disagree with everyone that complained about the shortness of the DVD. I find it absolutely perfect to show friends (usually non-members) after they comment on Bro. Mabry's "Resurrection" photograph that is on my wall. Perfect in length for it to not feel too churchy. I also found the book to be completely inspiring and again, makes for wonderful conversation as it sits on my coffee table. Being a photographer as well, I am in complete awe of his pure talent. I highly recommend the book and DVD!!!! Reflections of Christ has been so inspiring to me. I feel like I have got to know my Savior better through these pictures. My whole family from grade school age to married adults have thoroughly enjoyed this book with its inspiring photos and real life detail. I purchased the book, cd, and dvd. 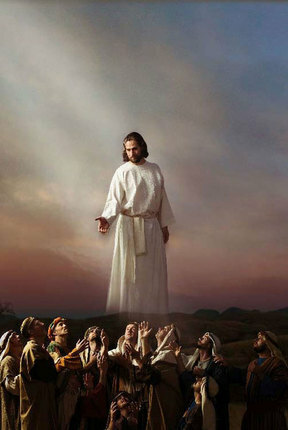 The pictures helped me see the Savior in a "more real" light. The DVD, showing how they did it was a perfect 30 minute family night for my family and neighbors. The music on the CD is extremely powerful and we keep finding new favorites. It's a more powerful Christmas gift. The book, DVD, and CD convey an incredible spirit. We have watched the DVD at least 10 times and my children are still mezmerized by it. The music CD is played every day in our home and we have purchased extra copies of the book as presents for family and friends. This is an incredible and spiritual production. These pictures seem to have a spirit of their own. It is so inspirational to see actual pictures based on the life of Christ instead of paintings. A Spiritual Journey Through Images Of Christ's Ministry!!!! 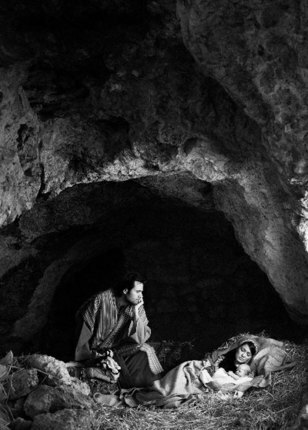 For the Christmas season, we get this amazing photographic montage of Christ's ministry. The images of Mark's work are breathtaking. In the introduction, Gary tells us how he came to create these miraculous, soul-stirring images and at the back of the book, he describes each photograph and how each came to be and the comments from the individuals he used as to their feelings. Gary has music to go with this book and his exhibit is on display throughout the country. This is a book that would make a great coffee table book. This is one book that touched me even before purchasing it. The photos are magnificent! Great addition to any personal library. This book is amazing! It makes you feel like you were REALLY a part of this magnificent Man’s life when He was here on this earth. Thank you for making such a wonderful book! Everything you would imagine Christ to be like. Extraordinary!! What fabulous pictures! Christ is illustrated in such a beautiful and magnificent way. 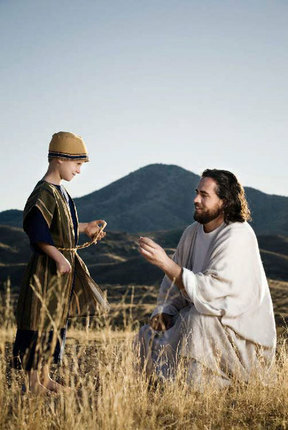 What touched me most was the way Christ is smiling and laughing with the children... just as it really would have been. It also portrays the absolute love between Christ and John the Baptist after their baptisms, with laughter and hugs.. so glorious, spectacular, yet extremely tender. Words truly cannot describe the magnitude of these outstanding photos. Beware of goosebumps. Thank you Mark Mabry! These Prints in the book are beautiful. I have watched the short clip of all these pictures online and they are very inspiring. What a wonderful treat to have these in the home. These are my gifts this year! I never expected the powerful experience that I had upon viewing these images at the Mesa, AZ Temple. I thought I was just going to see some photos, but these are more than just photos. 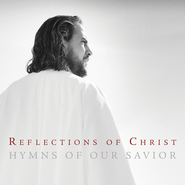 Mark Mabry and all the people in the photographs bear their testimonies of Jesus Christ through these beautiful images. I only wish there were prints available for purchase so I could put some in my home. I was lucky enough to see the artwork of this book at the Mesa, AZ temple. It was beautiful and I felt the spirit so strongly going through the exhibit. I would love to have this book in my house. Brings joy to the heart and tears to the eyes. Seeing this art live was amazing! Seeing this art in real life was amazing. I can hardly wait to have it to look at all the time with this book!! I have known the photographer for several years. He is very talented, he loves photography and it shows in his work. This exhibit was amazing! If you get the chance please don't miss it. His ability to great a photo that looks like a piece of art is unsurpassed. I was really impressed with how deeply these touched me! I saw this in a special exhibit at the Mesa Arizona Temple Visitor's Center and was deeply touched. I was not expecting to feel the spirit so strongly as I did when I looked at the photographs depicting the Saviors life. Truly amazing work of art! I'm definitely getting this book for my home.